Wondering what makes an effective teacher? You’ve come to the right place. 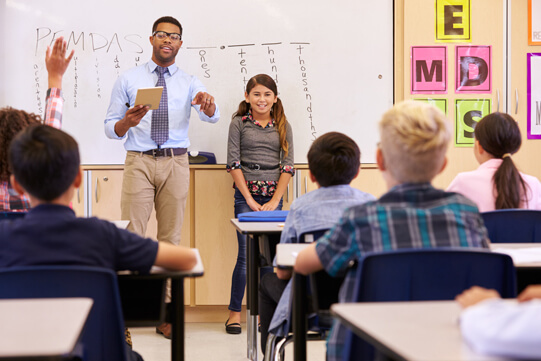 Whether you are a teacher or you’re looking forward to being one in the future, these effective teaching and learning practices below will help you grow and be a successful teacher. Let’s not waste any minute and get into it, shall we? The more you know about your subject, the better you will teach and achieve success. According to multiple research, your knowledge about your subject is one of the most important elements of great and effective teaching. Although this may seem obvious, studies found that most successful teachers have a deep understanding of the subject they are teaching. It’s crucial to completely know your subject for you to teach a lot better. Building relationships with your colleagues and communicating with parents regularly has an impact on the learning of students. In order to increase student relationship and achievement, it’s crucial for all teachers to engage with the parents of their students as well as talk with their colleagues on a regular basis. Believe it or not, you can learn a lot faster and better if you acquire information in your own personal style. In fact, a survey shows that the majority of teachers think that they tend to learn new things quicker when they collect new information in their learning style. However, this approach does not have any evidence that it works, but still, it’s been proven by countless teachers so it is worth a try. As much as possible, try to deliver clear and simple instructions. Avoid providing complicated instructions as this will only make it harder for your students to get new information from you. Instead, keep everything clear yet simple enough for your pupils to easily understand. The way you give your instructions can effectively affect your teaching. When it comes to teaching, it is very important to build a good relationship for your students, especially if you want them to be interested and active when you are teaching. Don’t hesitate to talk to them casually when you’re outside of the class. Developing a great teacher-student relationship creates a positive classroom atmosphere. Teaching is not an easy task — that is for certain. But if you’re looking for some ways to level up your teaching skills and be a successful teacher, consider following the teaching and learning practices above. Teaching is never an easy task, and you probably know this, especially if you are currently teaching or you’re looking to be a teacher in the future. In order to deliver and achieve the best academic results, it is important to have the right teaching practices. And if you’re looking for one, then you’ve come to the right place. Below we have provided some of the best teaching practices that can benefit every teacher. Let’s dive right in. If you want to spice things a little bit, don’t hesitate to use humour. This can be a good way to keep your students interested and engaged. Believe it or not, you’ll be able to increase the engagement of students and even help build up their confidence. Feel free to use humour at appropriate times — you’ll be surprised how this can create a positive classroom atmosphere once done right and on a regular basis. For you to teach better, it is very important to always be precise and clear when giving instructions. By giving clear instructions, your students can learn faster and better. Do your best to deliver accurate instructions as this can help improve the performance of your students. One of the best ways to keep your pupils engaged is by simply providing positive feedback. Don’t be afraid to use words such as “excellent”, “good job”, or any words that will build up the confidence of your students. While the process can be quite simple, this will allow you to show your students that you’re celebrating their efforts and achievements as well. Maintaining good communication skills in a classroom makes a positive learning environment. As much as possible, try to build a rapport with your pupils. You will need to connect with your students as well as figure out their needs as an individual. Having an open and clear communication inside a classroom is one of the keys to building a healthy learning atmosphere. Putting passion and love with your subject or job enables you to enjoy your work. Your students are more likely to be interested in your subjects if they can see your passion with the subject you’re teaching. Follow these teaching practices and you should be able to be a successful teacher in no time. Providing excellent teaching practice can influence the learning of students. The majority of teachers do their best to meet the principles of good teaching practice to deliver the finest learning experience to their students. If you’re a teacher or you’re just curious and want to find out how to provide a good teaching and learning practices, then better read on. It’s important to offer a quick and precise response every time your students ask you a question. Providing feedback allows your class to develop their knowledge and skills as they will have an idea where or what they are lacking. This is one of the easiest teaching and learning practices you should consider. A good communication is essential in class. Let your students say what they want and what they think about you as their teacher. This will enable you to understand what they are really thinking. Encouraging communication with your students also allows you to build a good relationship inside the classroom. As much as possible, let everyone in the class participate. Call them one by one, and includes those who don’t raise their hand. Letting them participate makes them a better student, and this also encourages teamwork. Encourage your students to speak up. While you may have a hard time increasing the participation of your class, it will be all worth it in the end. Feel free to ask your class to inform you to make changes to improve class participation. When listening to your students’ questions or answers, try not to interrupt them. Instead, just listen carefully. Let them talk and of course, ensure to provide a specific response to all their questions. Moreover, when a student provides a wrong answer, be sure to respond in a way that will challenge the class to think more. Avoid embarrassing a student as this is really bad for class participation. Your class will be more interested and engaged if you can remember and call them by their names. You can also encourage your students to learn other each other’s name as well. This teaching and learning practice is no doubt one of the best and easiest ways to increase engagement and build a good relationship with your class. There are many good teaching and learning practices out there, and above we’ve compiled some of the best. Following the tips above will enable you to teach more efficiently and effectively – that’s for certain. Teaching is never an easy task. If you are a teacher and looking for some new teaching methods in education to make it easier for you to inspire and improve your students, you’ve come to the right place. Here are some effective modern methods of teaching that are guaranteed to help you develop your students and reach their potential. Let’s dive right in. The traditional method of teaching is when a teacher guides students to understand through memorization and recitation techniques consequently not developing their critical thinking problem solving and decision-making abilities (Sunal et al 1994) while the modern or constructivist approach to teaching involves a more interacting, student-based of teaching. Here, the pupils learn through group participation. The traditional “chalk and talk” method of instruction that is persisted for tens of thousands of years is currently getting inferior results in comparison with the more innovative and modern teaching methods which are available to be used in schools now. As educators, it is vital to have the ability to instruct and stay engaging. It puts a higher degree of obligation on producing lesson plans that really work. Listed below are just three teaching approaches which are creating an impact. 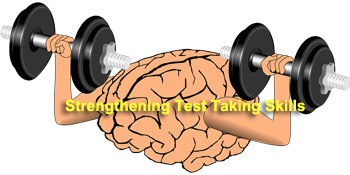 Because conventional techniques utilized repetition and memorization of information to instruct pupils, it meant they weren’t creating their critical thinking, problem-solving and decision-making abilities. Modern learning encourages pupils to collaborate and is more effective. Saying that conventional and contemporary teaching approaches are equally useful and effective in the current education. 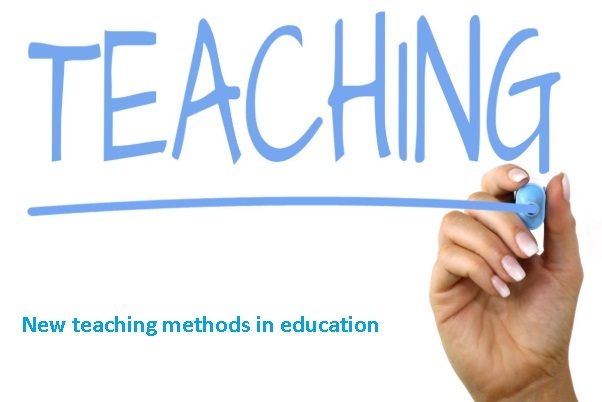 What are the different types of teaching methods? It’s almost impossible for your students to grow and move forward without providing feedback. Yes, you read that right. As a teacher, you need to deliver consistent feedback. This enables your learners to easily and quickly keep up with you. In addition, make sure to offer your students the opportunity to give you feedback so you can adjust your learning instruction and process. For your learners to learn from each other, it is crucial to facilitate class discussion frequently. This is also a good opportunity for teachers to have an idea about how well their students are acquiring new concepts and content that you teach. 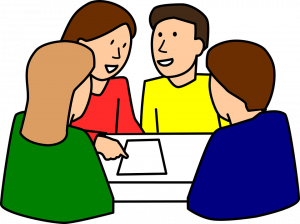 Do your best to provide frequent class discussion and you should be able to see your learners grow in no time. Inspiring your students enables you to push their boundaries and achieve their true potential. Always be an inspiration to your learners and help them consider and attain their potential. Your enthusiasm and effort can influence the commitment of your students to be interested in your field. Offer support and help your learners to meet academic demands no matter how simple or difficult the demands are. It is important to let your students express what they think and what they want to say. This will allow you to improve yourself as their teacher as well as provide the right teaching practices that your students need. Give your learners the opportunity to communicate well with you and let them express their opinion on how you teach. There are various kinds of teaching methods that may be sorted into three broad kinds. These are teacher-centered procedures, learner-centered procedures, content-focused approaches and interactive/participative procedures. Here the instructor casts himself/herself at the part of being a grasp of this subject matter. The instructor is looked upon from the students as a professional or an authority. Learners, on the other hand, are assumed to be both extravagant and passive recipients of knowledge in the instructor. Examples of these approaches are expository or lecture approaches – that need little if any participation of students in the teaching procedure. It’s also because of this lack of participation of the students in what they’re taught, such methods are known as “closed-ended”. In learner-centered procedures, that the teacher/instructor is a teacher and a student at precisely the exact same moment. From the words of Lawrence Stenhouse, the instructor plays a double role as a student too “so that in his classroom expands rather than constricts his intellectual histories”. The instructor also learns new things everyday that he did not understand in the practice of education. The instructor “becomes a source as opposed to an authority”. Examples of learner-centered approaches are conversation procedure, discovery or query based strategy along with the Hill’s version of learning through conversation (LTD). Within this class of methods, the instructor and the students must fit in the material that’s educated. Normally, this implies that the advice and skills to be educated are considered as sacrosanct or quite important. The instructor and the students can’t change or be critical of whatever related to the material. A good illustration of a method that subordinates the interests of their instructor and students to the material is your programmed learning strategy. This fourth class borrows a little from the 3 different methods without automatically laying emphasis unduly on the student, teacher or content. These approaches are pushed by the situational evaluation of what’s the most suitable thing for people to learn/do given the problem of students and the instructor. They demand a participatory comprehension of diverse domains and variables. We are now able to think about a variety of particular procedures that could be drawn out in the course of classroom education. It’s however, very important to mention that the option of any kind of methods shouldn’t be random, but has to be regulated by the standards we’ve already analyzed. At precisely the exact same time every technique isn’t fool-proof but has its benefits and pitfalls. That’s the reason why I would advise using complementary methods instead of 1 method. It’s the way of relaying factual advice including fundamentals, theories, ideas and THEORETICAL KNOWLEDGE about any subject. In a lecture that the teacher tells, clarifies, clarifies or relates whatever info that the trainees are needed to learn through listening and comprehension. It’s thus teacher-centered. The teacher is quite busy, doing all of the talking. Regardless of the prevalence of cooperation, the absence of active participation of pupils restricts its usefulness as a way of education. The lecture method of education is suggested for trainees with hardly any comprehension or limited background knowledge on this issue. It’s also beneficial for introducing an organized body of fresh information to the student. To succeed in encouraging learning, the lecture should involve some talks and, question and answer period to permit trainees to participate actively. As stated previously, during the lecture, the pupils merely hear the teacher. It’s thus extremely important to take into account the attention span of pupils when planning a lecture. The attention span is that the time period during which the pupils can pay whole attention to what the teacher is speaking about. It’s anticipated to be 15-25 minutes just. It’s tough to hold the trainee’s attention for a very long time period and careful planning of cooperation is quite needed. The teacher needs to have a clear, logical strategy of demonstration. He/she must work out the fundamentals of this subject, organize them based on priorities and logical relations, and establish relationships between the various products. Careful organization of articles enables the trainees to construction and thus, to shop or recall it. When creating a motif in a lecture, the teacher should utilize many different approaches. A Practical principle in any schooling is to go in the KNOWN into UNKNOWN; from SIMPLE into COMPLEX, or by PARTS into some WHOLE. By way of instance, in describing technical procedures the teacher should look for examples which are going to be recognizable to the trainees. Unfamiliar technical words must be introduced carefully. To be able to gain and concentrate the interest of pupils, the teacher should be adequately prepared, eloquent in his/her demonstration and ought to use different teaching aids and examples such as graphs, transparencies, codes as well as the actual objects through demonstration. Question and Answer intervals should be contained at the lecture. 1. A fantastic lecture shouldn’t be too long as to transcend the researchers’ focus span (around 25 minutes). 2. A fantastic lecture ought to handle one theme. 3. In a fantastic lecture, technical conditions are carefully clarified. 4. Familiar illustrations and analogies have been awarded. 5. A fantastic lecture demonstrates fluency in specialized content. 6. A fantastic lecture uses examples and illustrations. 7. A fantastic lecture builds on present knowledge. 8. A fantastic lecture applies an assortment of approaches. The discussion involves two-way communicating between participants. In the classroom situation that an educator and trainees all engage in conversation. During the conversation, the teacher spends a while listening while the Warriors spend occasionally speaking. A conversation is a way by which individuals share experiences, thoughts, and attitudes. As it will help to nurture trainees involvement in what they’re learning, it can contribute to desirable attitudinal changes. The discussion might be utilized in the classroom with the aim of lesson growth, making trainees apply what they have learned or to track trainees studying by means of feedback. In regions where trainees already have some knowledge or expertise, the dialogue might be employed to develop the principal factors to be covered in a lesson. By way of instance, in security training, lots of the processes and behavior which needs to be detected can be established through discussion with all trainees. The conversation can help clarify the various points of view and might aid each trainee to specify her or his own view. Used this manner, the discussion might be more successful in motivating learners than assignments. Trainees can observe that some significance is attached to their own gifts. Discussion may also be used, after a lecture or presentation, to assist trainees to apply what they’ve learned. The teacher can ask questions, that assist trainees to associate concepts and fundamentals to contexts which are familiar to the trainees or where they will finally be required. By way of instance after a lecture on “forms of timber combined”, the teacher may, direct a conversation directing trainees focus on the areas or parts of furniture at which each type can be located, along with the motives for using one kind than another. Employed in this manner discussion results in the transport of learning. After a visible career as CEO, Pierre Pirard chose to divert his attention and eventually become a teacher. Working at Brussels’ most disadvantaged neighborhoods that he discovered why these kids — usually depicted as troublemakers — are in a position to grow above this unwanted image. He considers that these children would be the future of the society and that individuals ought to care to his or her education, regardless of what their sociocultural and economic heritage is. At a Ted X event, TEDTalks live and video speakers unite to ignite deep conversation and connection in a little group. Researchers at the State University of New York and Binghamton University have developed new technology and it allows the user to interact with the virtual reality atmosphere by giving command through mouth gestures. The proliferation of the inexpensive virtual reality head-mounted displays offers users with the realistic immersive visual experience. In fact, the virtual world is not only for the entertainment. At present world, most of the healthcare is used VR to help disabled patients. New technology allows you to interact with each other in the virtual reality environment by using mouth gestures. As everyone knows HTC, Facebook and Playstation are the top players in the game of virtual reality device marketing with the competitive designs and pricing for a mass market. But Vive, Hololens and Playstation VR gives you an excellent visual experience to their viewers but it conceals half part of the user’s face and avoids the facial identification of the whole face. Lijun Yin is a leader of Binghamton team and their team has solved this aspect with the help of new framework which interrupts mouth gestures as the medium to interaction within the virtual reality in the real time. Yin team has tested this application on the group of the graduate students. Once the user put on the head-mounted display, it was presented with the simplistic game. The main objective of the game is to guide player avatar across the forest and eat as many cakes as possible. A player can also choose their movement direction by using head direction and moving using mouth gestures. A system can classify and describe user mouth movements and it could be achieved high correct recognition rates. In fact, this system was validated and demonstrated via virtual reality application. Basically, this application was beta tested by group of the graduates. Having HMD (Head mounted display) is really useful to play a simple game which is sufficient to guide the avatar. The guided movement is facilitated by using head rotation direction and some of the movements are performed by using mouth gestures whereas you can eat cakes by smiling. 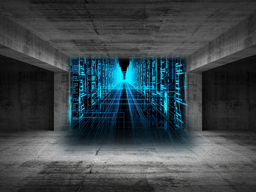 However, the system was successful with less error and later it is validated via real time virtual reality application. Yin believes that this technology is applicable to the plethora of fields. According to the studies says that student Xing Zhang and Umur Aybars Ciftci contributed to this research. In fact, the paper “partially occluded facial action interaction and recognition in the virtual reality application” and it is presented at 2017, IEEE international conference on the Expo and multimedia. It could be the valuable addition to the disabled patients, military personnel and medical professionals. This kind of the new technology might make experience lot more realistic at a long run. Once you surf in online then you can get detailed information about virtual reality. Basically, virtual reality is the computer technology which is used multi projected environments or virtual reality headsets. A person who is using virtual reality equipment can look around the artificial world. Practicing Conversation when learning a new language is a very important. The more conversation dialogues one practice, the better he will be able to understand all the language vocabulary and grammar. Also, communicating with people will be more easy and fluent. In this Conversation Practice video, you will you improve your English Conversation skill. The best practices of 21st century, teaching and learning are very effective and sound educational as well. Of course, these educational practices can share the specific strategic and timeless features. Usually, 21st century teaching always needs the latest approach, which aims to meet the requirement of digital natives actively. The teachers at 21st century will learn the best strategies and practices for improving students and enhancing their career path. The teachers also aim to inspire the students to think about how to build the communication skills, collaboration and also achieve success in the college as well as career. Getting students engaged is really challenging. The students in today’s world are multitasked, so it is quite difficult to maintain a long concentration. They can easily get bored, so you just use the activities and interesting educational games, then finally teaching students. The successful teacher always maintains a good communication skill to get connect with the learners easily. Make sure to have a clear and open communication that is a key to develop a friendly learning atmosphere insider the class. When you teach students, you have to be very clear, wise and precise in conveying instructions. Make sure to teach digitally focused students and explain clearly to them. The small doses of humor are highly recommended in a teaching room, which makes the learners engaged and also build up their confidence. Nowadays, the students are very smart, so you should act and don’t react in front of the whole class. Not all the students have equal comprehensive power. The students always learn in several ways and some students are slow learners and others are very fast. So, you give an individual learning room. Peer learning is a type of co-operative learning that improves the value of interaction between students and results in the best learning outcomes. One of the best ways to get your students interested in your subject is conveying that how much your passion for the field you are teaching. Before you start teaching, you should involve students by voting to investigate about a specific classroom assignment or topic. Try to use the simple positive words publicly and motivate them to celebrate their achievement.